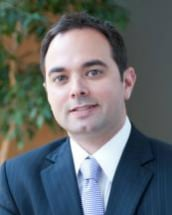 Joseph Bellanca is an entertainment and media attorney at Hertz Schram PC. He advises entertainers, musicians, athletes, writers, radio and television talent, record labels, artists, music and book publishers, music festivals, music venues, event promoters, authors, advertising agencies and media companies on issues related to contracts, licensing, trademarks and copyrights. His clients include Quicken Loans, Woodward Original, Olympic Gold Medalist Meryl Davis, Detroit Vs Everybody, Paxahau, Funfest Productions, All Good Records, Annabelle Road, Jena Irene Asciutto (American Idol 2014 runner up), Jeff Gutt (X Factor 2013 runner up), Harvest Productions, MARS Advertising, Eric Zane, Dr. Joel Kahn, Grand Circus Media and Brian “Pigman” Quaca. Joe is also an adjunct professor at DIME (Detroit Institute for Music Education), the Treasurer of the State Bar of Michigan ACES (Arts, Communication, Entertainment and Sports) Section, the recently-elected Secretary of the Italian American Bar Association of Michigan, a member of the Executive Board of the Detroit Music Awards Foundation and is a member of the National Academy of Recording Arts and Sciences (the Grammys). On behalf of his clients, Joe negotiates recording, music and book publishing, management, talent, sponsorship, media purchasing, licensing, personal appearance, endorsement and performance agreements. He works with client protecting their brand, name, reputation and creative works by registering, enforcing and licensing their valuable intellectual property (trademarks and copyrights). Joe also advises advertising and marketing clients regarding media rights, rights of publicity and privacy issues, brand management and trademark and copyright clearances. Prior to joining Hertz Schram, Joe was the general manager of Freedom Hill Amphitheatre in Sterling Heights, Michigan, where he worked with iconic artists in including Don Henley, James Brown, BB King, Steve Miller Band and LL Cool J. Joe is very active in the entertainment community in Detroit and nationally, attending South by Southwest, the ABA Forum in Sports and Entertainment conference and other events, festivals and conference promoting his clients on a regular basis. Joe was named a 2014 Up and Coming Lawyer by Michigan Lawyers Weekly, a SuperLawyers Rising Star (2012-2016) and dBusiness Top Lawyer (2012-2016) in the practice areas of sports and entertainment law and intellectual property and has guest lectured at the University of Michigan Law School, Wayne State University Law School and Western Michigan University Cooley Law School.